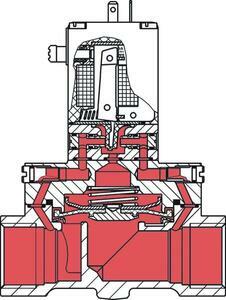 No medium flow through the pilot valve in open condition! This is a crucial advantage over valves with 2-way pilot. Also available as explosion-proof version.